Pope Francis called for peace in a world marked by war and conflict,"beginning with the beloved and long-suffering land of Syria" and extending to Israel. President Donald Trump attended Easter service at the Church of Bethesda-by-the-Sea near his estate in Palm Beach, Florida on Sunday. From church services to pastel eggs -- Easter traditions of both a religious and secular nature were well on display across the globe on Sunday. 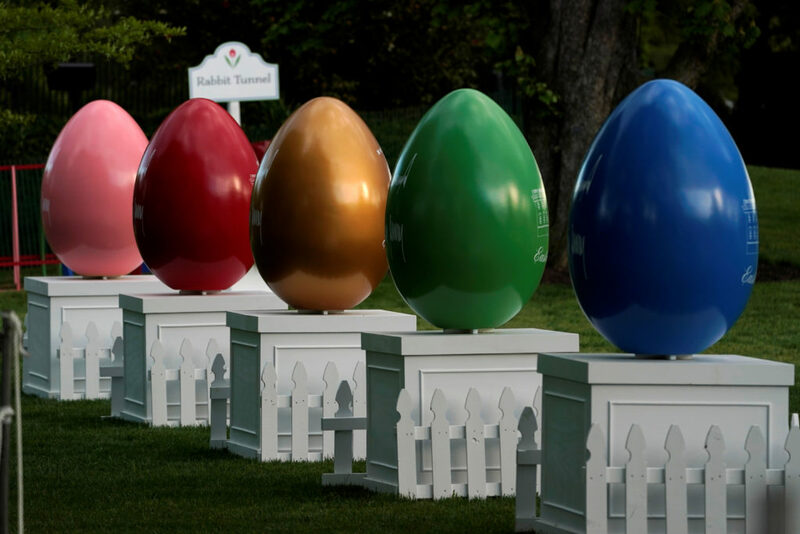 The First Family has hosted a day of games, music and food nearly every Easter Monday since 1878. See photos of the the celebration dating back to 1889. This past week in the days leading up to Easter Sunday, Christians around the world observed Holy Week, commemorating the final days in the life of Jesus Christ.